Location: Residential road, in front of the tree that the car impacted. Reason for Memorial: Double fatal car vs tree, high rate of speed on a residential road. 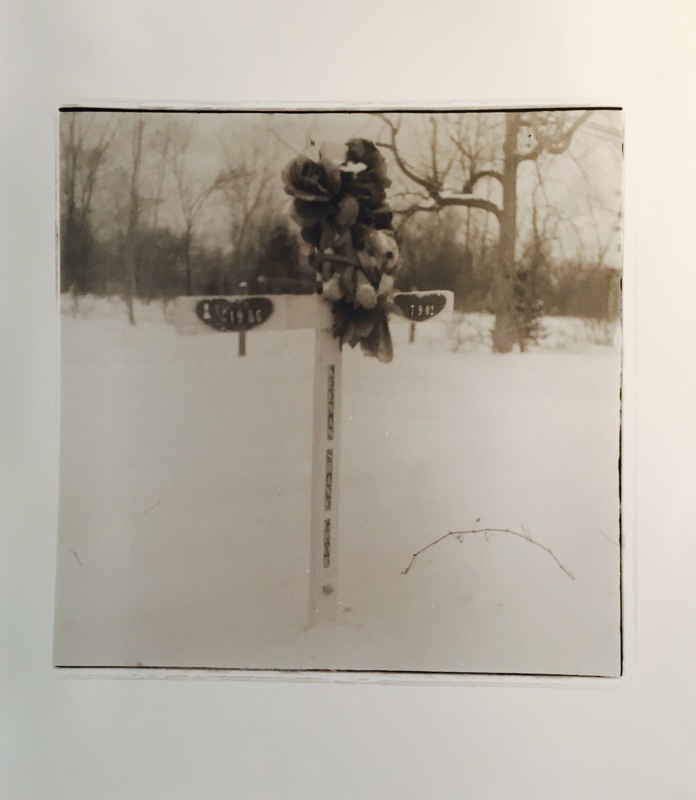 I took this film photo of the “Drumstick” memorial. Shot with an old Mamiya using 120 film. I first became aware and interested in Roadside Memorials when I lived in North Carolina for a few years. On one particular stretch of highway there were so many of them that they would actually cause more accidents, seemingly the people that put them up had severe cases of “Keeping up with the Jones'” and made them larger and larger which would steal other drivers attention. It finally reached a point that the State Police asked, begged and threatened people to not place them anymore. The people who didn’t listen or heed the warnings had the memorials torn down and in several cases severe fines were imposed. Today I am posting about North Dakota who will put these grim reminders up at the site of fatal accidents the “Think” program started in 1979 is to “provide a memorial to the victim and to also remind motorists of dangerous behaviors such as driving under the influence, not wearing seat belts, speeding, and distracted driving.” The interesting fact is the state will put the signs up as soon as its notified of a traffic fatality and the family must request to have the signs removed. Reason for Memorial: Homicide, multiple gunshot wounds. Reason for Memorial: Fatal motorcycle accident in the parking lot. Cause of Memorial: 3 year old girl killed when the vehicle she was riding in was struck by a drunk driver. Cause of Memorial: Motorcycle accident due to loss of control. Cause of Memorial: Cyclist struck by vehicle. Cause of Memorial: Passenger of vehicle fleeing police, struck telephone pole.